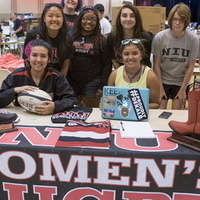 Make your college years count by getting involved at NIU! With over 300 student organizations on campus, you will be sure to find one (or more) that interests you. The Involvement Fair is an opportunity for you to learn more about what numerous student organizations and departments have to offer. You will also have an opportunity to meet student organization leaders, NIU staff and faculty members and not-for-profit community agencies.